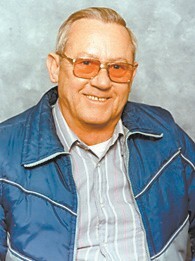 William B. Watts, 82, of Allen’s Crossing near Osgood, Ind., died Friday, April 5, at his home. Born at Hallie to the late Pearl and Cinda Smith Watts, he was the widower of Betty DeBurger Watts. He was preceded in death by two children, Brenda and Randy, and seven brothers, Fred, Pearl Jr., Jay, Dee Lawrence, Billie, Bub, and Virgie Whitaker, and two sisters, Effie Campbell and Emma Jean Leach. Mr. Watts was retired in 1997 from Reliance Electric in Madison where he worked as a tow motor operator for 40 years. He enjoyed hunting and fishing, and tending to his dogs, guineas, and chickens. Survivors include three daughters, Phyllis Watts and Lisa Johnson, both of Norwood, Ohio, and Billie Watts of Madison, Ind. ; one stepdaughter Kathy (AJ) Riley of Napoleon, Ind. ; eight grandchildren; and six sisters, Sue (Darrell) Gross of Florence, Sharon (Bill) Back of Canaan, Ind., Juanita (Bob) Adams of Shelbyville, Ind., Christina Wooten of Kentucky, Velma Hamilton of Morehead, and Glenna (Tom) Sunn of LaPorte, Ind. Funeral services were held on Tuesday, April 9, at Stratton-Karsteter Funeral Home in Versailles, Ind. Burial was in the Shelby Cemetery. Memorials may be given to the Jefferson County Humane Society or the Shelby Cemetery in care of the funeral home.